The Trump administration's tough talk on tariffs softened last week, and government reports on Friday showed job growth was booming in February while real-wages roared, capping a good week for the Standard & Poor's 500 with 1.7% surge on Friday that left stocks just 4% from their all-time high. 313,000 new jobs were added to the economy last month, when only about 200,000 were expected. In addition, the official unemployment rate stayed at 4.1%. 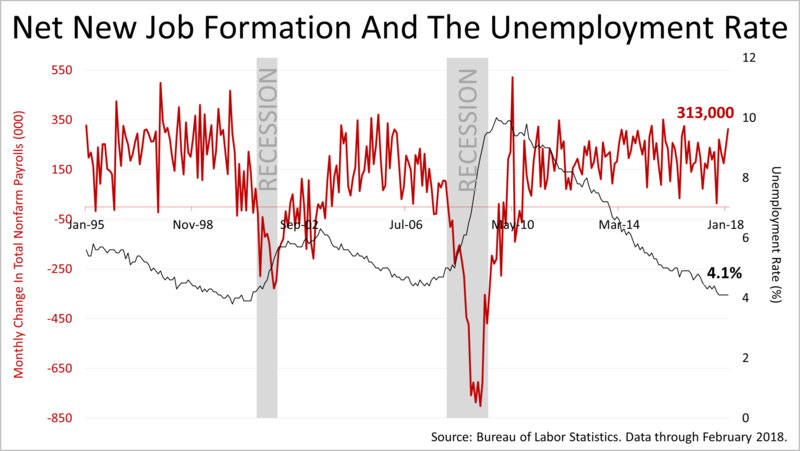 That's the same it has been since October 2017, and the lowest it's been since December 2001, which capped the end of the longest expansion in post-War U.S. history, the boom of the 1990s. 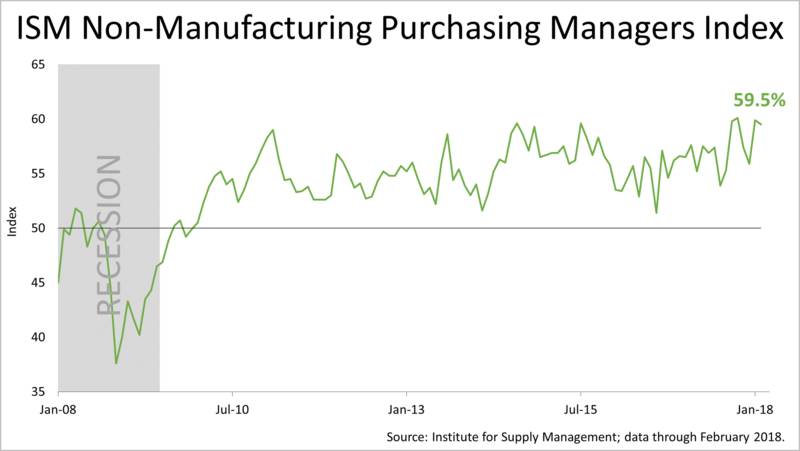 Meanwhile, purchasing managers at large non-manufacturing companies - 86% of U.S. gross domestic product - continued to say they're experiencing near-record high levels of activity. The 59.5% reading in February for months has hovered at highs rarely reached. In addition, this Institute of Supply Management index is comprised of 10 sub-indexes, among them is an index tracking new orders. The index of new orders measures money just about to be spent, making this a good forward-looking indicator. At 64.8%, new orders surged at non-manufacturing companies - the backbone of the United States. It was last month's average hourly earnings surge - initially reported at 2.9% - that triggered February's stock market correction. The 2.9% initial report was revised down to 2.8% this past week, and the latest monthly report showed average hourly earnings grew in the 12-months through February by 2.6%. How good is that? Since the recession ended nine years ago, average hourly earnings grew 2% annually. Average hourly earnings are growing 30% faster in the past 12-months versus the nine-year average. 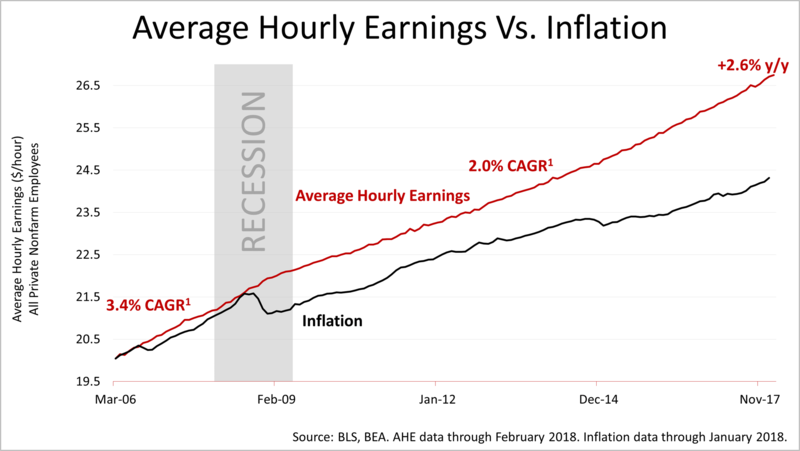 This chart, from an independent economist whose research we license, adjusts the government's monthly report on the average hourly earnings for inflation index used by the Federal Reserve to make policy decisions about interest rates. 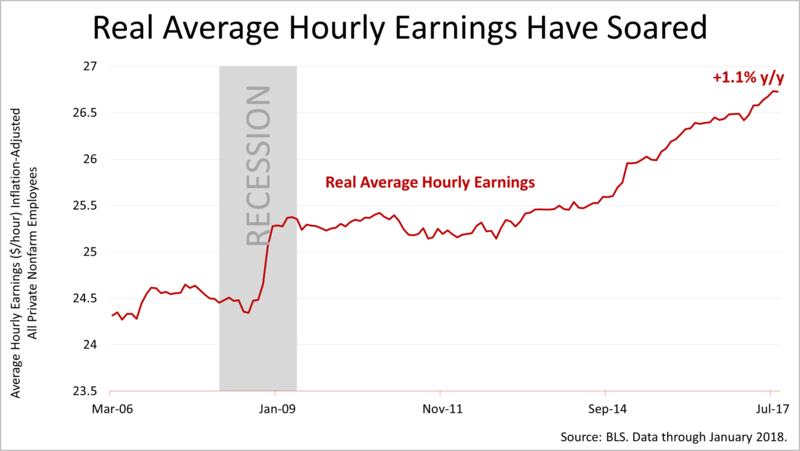 Real average hourly earnings are booming. Consumers, who account for 70% of U.S. economic activity, have more money in their pockets to spend. 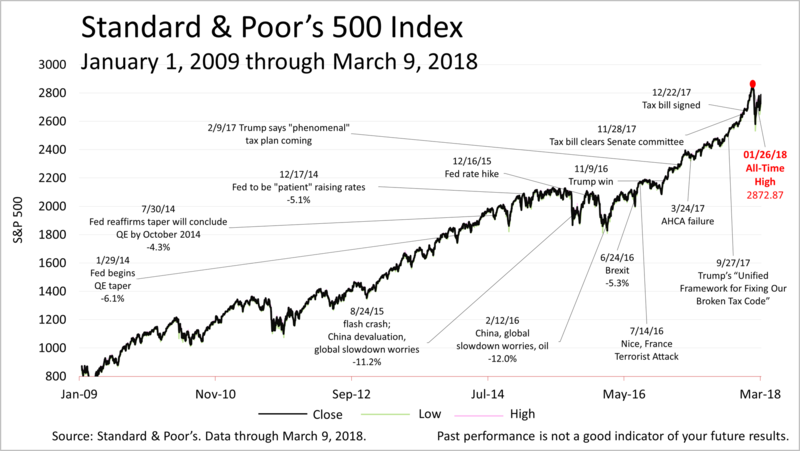 The bull market began on March 9, 2009 and turned nine years old Friday and, with the S&P 500 closing at 2786.57, stocks are fully valued, which makes them susceptible to emotional swings on sentiment. 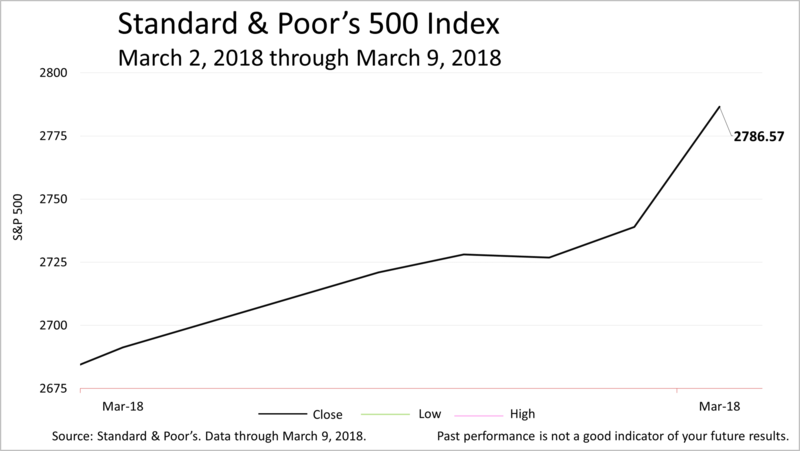 President Trump's tough talk on tariffs initially caused a plunge in stock prices, but a week after, exemptions were offered to allies and fears of a trade war subsided. Key economic fundamentals remain strong. Sources: BLS, BEA. Average hourly earnings through February 2018. Inflation data through January 2018. 1AHE includes 100% of non-farm private employees, and excludes benefits and employers' share of payroll taxes. 2Compound annual growth rate March 2006 through December 2008 = 3.4%; CAGR December 2008 through February 2018 = 2.0%. 2March 2006 average hourly earnings of $20.04 inflated by the personal consumption expenditures deflator (PCED). AHE adjusted by the personal consumption expenditures deflator. This article was written by a professional financial journalist for New England Capital Financial Advisors, LLC and is not intended as legal or investment advice. © 2019 New England Capital Financial Advisors, LLC. All rights reserved.